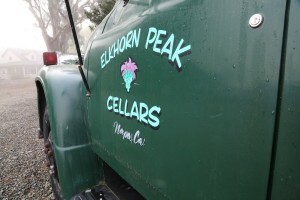 Elkhorn Peak Cellars is located in Jamieson Canyon (South East of the actual town of Napa) which is Napa’s “other” prime growing region for Pinot noir and Chardonnay. 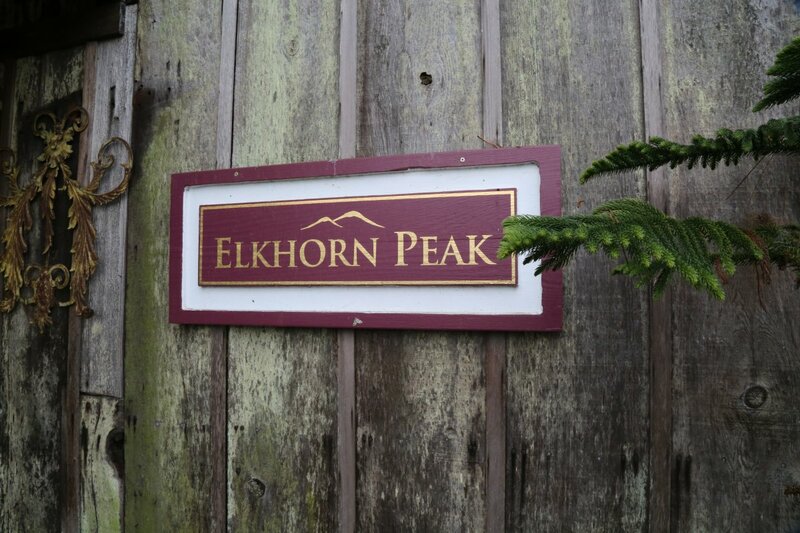 The winery sits on a hillside below the actual 1336 foot Elkhorn Peak; Elk used to be common in this area. This region is slightly cooler than the more well-known nearby Carneros but produces some terrific Pinot’s. 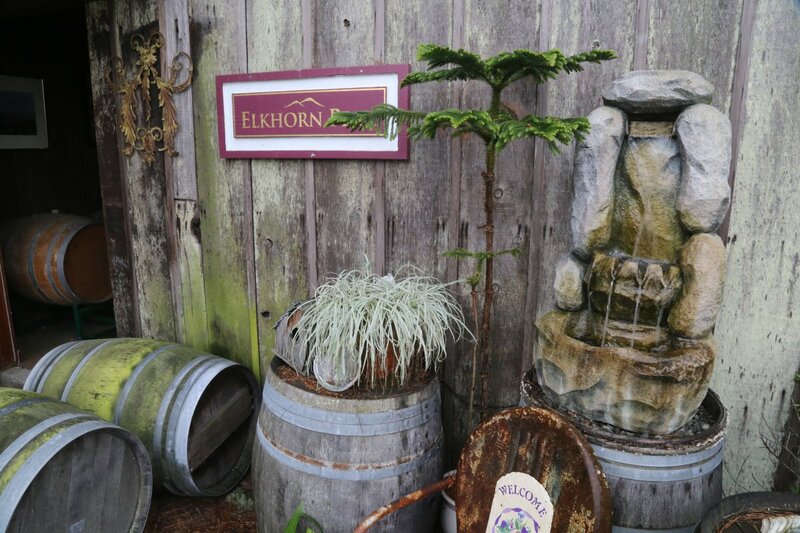 In the case of Elkhorn that is the wine they concentrate most of their efforts on and they do a fantastic job. They were pioneers in the Jamieson Canyon area as this region was originally a cattle growing location and had never been planted with vineyards. Vineyard manager and owner Ken Nerlove and his partners purchased land here in 1983 and initially planted a very small amount of Pinot noir and Chardonnay as they wanted to be sure these varietals would do well in a unproven vineyard location. Due to the hillside location and proximity to the bay, frost damage is typically not a problem. These initial acres thrived and today 20 acres of Pinot noir is planted. 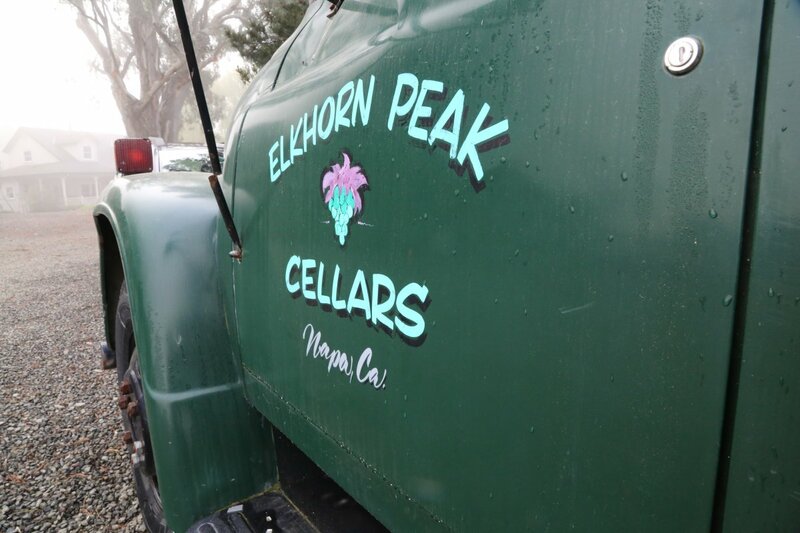 Elkhorn Peak has no plans to become a large Napa winery. They are more concerned about managing the vineyards they own now as well as producing high quality wines. Based on their current vineyard size they typically make around 1000 cases. Their winemaker has been with them since the first commercial vintage. Today from their property you can look out over a sea of more recent vineyards, mostly from large Napa wineries. 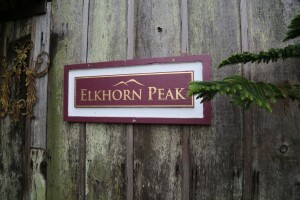 Elkhorn was originally a grape grower for the first few years (selling fruit to other wineries) and released their first commercial vintage in 1992. Ken’s favorite place is among the vineyards and weather permitting, he will walk you through the vines and answer any vineyard related questions you may have. 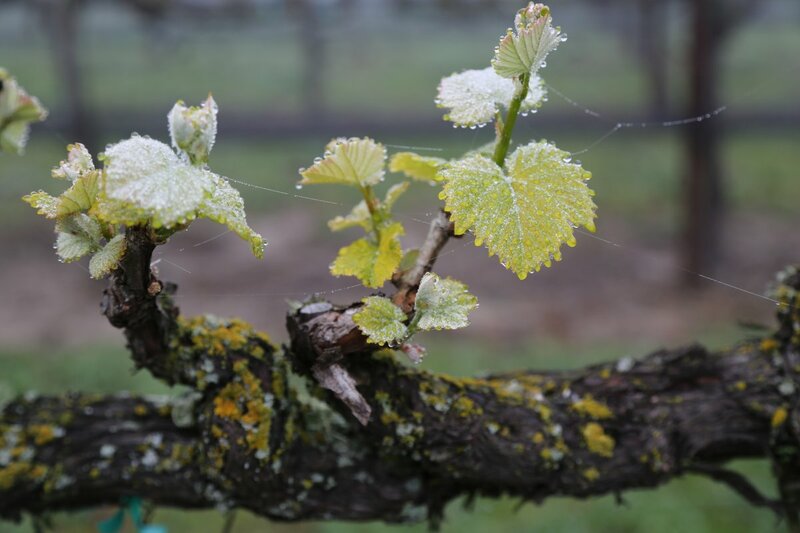 Being located closer to the San Pablo Bay than vineyards up valley means they have to contend with birds – each row has existing netting in place all year long – ready to wrap around the fruit after it goes through veraison later in the year. Flocks of starlings in the area can certainly devastate a grape crop. The focus here is on quality not quantity – typically they harvest about 2 tons per acre. With more than 30 harvests’ under his belt, Ken has built up a wealth of viticultural information including vineyard management practices that work best among his own vines. It is an educational experience listening to him convey his passion and knowledge about growing wine grapes – specifically about one of the harder grapes to grow, Pinot noir. The vineyard is on site of an old sheep ranch and the tastings are held upstairs in the converted sheep barn. We met Ken in the simple yet elegantly furnished ‘barn’ on site. He is a collector of antique pin ball machines, slot machines and other antiques – these add a nice feel and conversation pieces to a visit here. From the adjoining deck on a clear day you can actually look across the San Pablo Bay all the way to San Francisco where you can see the towers of the Golden Gate Bridge rising far in the distance or Mt. Tamalpais. 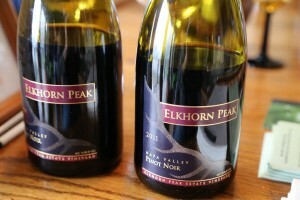 Their Pinots are a combination of several different clones all grown on site. We enjoyed the 2002 and a 2000 Pinot noirs. Most people will drink a Pinot within hours of purchase but consider setting a few bottles aside for aging. The 2000 we tried was 7 years old and aged as well as any Pinot you will find. It had that nice ruby color, was smooth and well balanced. Ken’s Pinot’s age very well – and have already aged 2-3 years before he even releases them. A rosé of Pinot Noir is a available as well as a very small production Chardonnay sourced from a vineyard in nearby Carneros. Love this promo vid! Great job. Been a very long time. Are you the same person that we knew as kids in San Rafael like 50 years ago? Sorry it took so long to reply but I just now saw this post. Very long time eh? I hope to see you when Im up that way. Living in San Miguel de Allende Mexico these days.